Who Am I?- Thoughts, Feelings and Beliefs! Jon Kabat Zinn was asked; “What do you think happens after death?” His response; “I don’t think about it much. I want to know, ‘is there life before death? '” Now that is a really good question and one that we will address in our upcoming “Who Am I?” on-line class. We will take a good look at if we “exist” life or “live” life. How do allow some of our 60,000 daily thoughts shape our days and our life, while rejecting others? This will be an interactive series that looks at how thoughts, lead to feelings (sometimes the opposite!) and how those feelings lead to beliefs. You will have the opportunity to joyously embody some long-held beliefs and alter or reject others. Here is a short video that provides some more of the class discussion ideas. Why this class is important for you! Simply, because you are what you think. 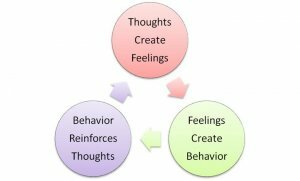 Your thoughts and feelings are intertwined. Those thoughts become your beliefs, which become your actions, or better said your “reality” As I said in the video, your reality is only yours and it doesn’t exist for anyone else. Too often, we carry our historical beliefs, limiting as they can be, and attempt to apply them to others and change their “reality”. This series of get togethers allows you to examine the “whys” of who you are. Who Am I? gives you the opportunity take a real look at how your thoughts, feelings, attitudes, beliefs and perceptions manifest themselves in your relationships, your work and in your beliefs of yourself. I’ll run two sets of the meetings so you can join at your convenience. You are welcomed to participate in one or both. My thought is to run the first on Tuesday evening, with a second round on Wednesday morning. There will be handouts/ workbook available and will be distributed via email ahead of the class. Each participant can also schedule two, one hour private sessions to discuss this program and get deeper into applying the principles. This is a $260 value that is included in your investment. Your investment for 6 hours of on line and two hours of private coaching: $79.00. I will be adding an on line registration/payment option in the next week or so.